Partipants at the Poultry Africa exhibition have appreciated new products, technologies and business opportunities shared at the two day event held in Kigali. 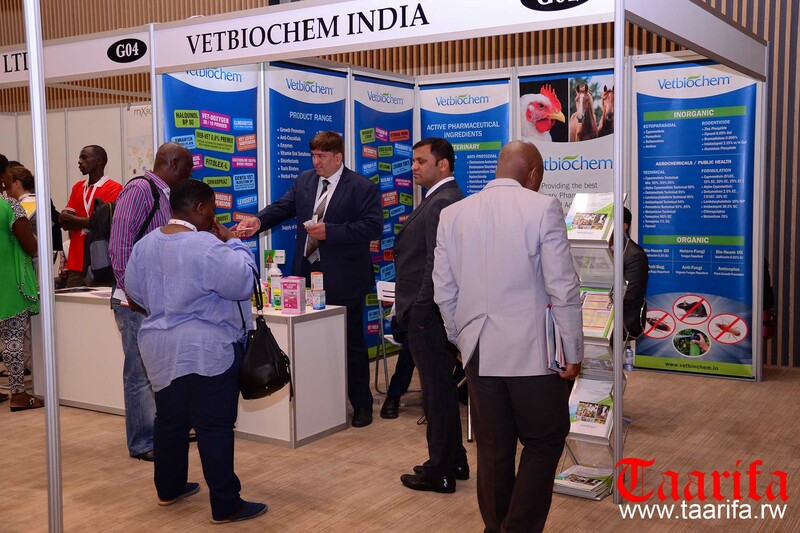 The exhibition that closed on Thursday was part of a conference that attracted over 70 companies specializing in poultry feeding technologies, processing, manufacturing and poultry veterinary services. Edouard Ndekwe, a local poultry farmer, told Taarifa that he has greatly benefited from the different mechanisms and new technologies that he will apply to his 1,200 poultry farm. Dr. Gerardine Mukeshimana, Rwanda’s minister of agriculture and animal husbandry, described event as is a rare opportunity to bring together poultry industry stakeholders across the value chain from to network and do business with players from around the world. “This gathering is an occasion to forge partnerships, as we want our poultry players to be connected into the global trade. Such a get-together opens opportunities for our chicken industry players,” she said. According to the ministry, Rwanda’s poultry population has grown at an average annual rate of 9% over the past seven years, from 3.5 million in 2010 to 7.6 million in 2016, with 69% of the population being local breeds while 31 % are raised in commercial poultry farms with exotic breeds. The country has 27 large commercial poultry farmers raising between 20,000 and 40,000 layers, 108 mediums with 5,000 to 20,000 layers and 210 small commercial poultry farmers raising between 1,000 and 5, 000 layers. Domestic production of eggs in Rwanda has increased at an average rate of 8 % rising from 80 million eggs in 2010 to 157.7 million eggs in 2016 due to the use of exotic layer breeds. Poultry meat increased from 13,718 tons in 2010 to 18,900 in 2016. Rwanda has six animal feed factories in various parts of the country as well as three companies producing day old chicks that have previously been imported. Francis Shyaka, is a manager at Rwachicks Company Ltd, a hatchery business in Kigali. He says he has gained a lot from the modern poultry shelter facilities. Government encourages investors to take advantages of the poultry farming, due incentives it offers to boost production. Currently, agricultural inputs and unprocessed raw materials are imported duty free whereas animal feed producers are exempted from paying the value added tax (VAT). Poultry Africa Expo is the first of its kind to he hosted in Sub-Saharan. A poultry feeding equipment by ‘Big Dutchman,’ a company that provides a complete line of poultry production equipments around the world. Local poultry farmers listening to an exhibitor. A multi-species animal breeding company, Hendrix Genetics, was a crowded with expo participants seeking information. Feed storage and delivery systems by VAL-CO, a global manufacturer. A stand for Alivera Animal Health Ltd,a Global Integrated Animal Health Company showcasing their products.